The holidays may be over, but even when things settle down it can be a hard to stick to your everyday workout and eating regimens. When the weather turns cold, evolutionary habits kick in and we all tend to eat more this time of year. Incorporating a detox friendly smoothie into your diet at this time of year is a great way to keep you on track, remind you to eat mindfully the rest of the day, and pack in nutrients. The Wahoo KICKR makes it easy to get a workout in no matter how cold it is outside—or how little time you have. But post-workout nutrition is crucial in allowing you to recover and do it all over again. That’s why I love this smoothie you can make it the blink of an eye! All you need is a high speed blender – no fancy tools or equipment. I added 1 cup of greens and I even used frozen spinach so there’s no need to have fresh produce on hand to whip this up. Fresh lemon juice makes this a slightly tart smoothie while also adding some great benefits like reducing inflammation and aiding digestion. 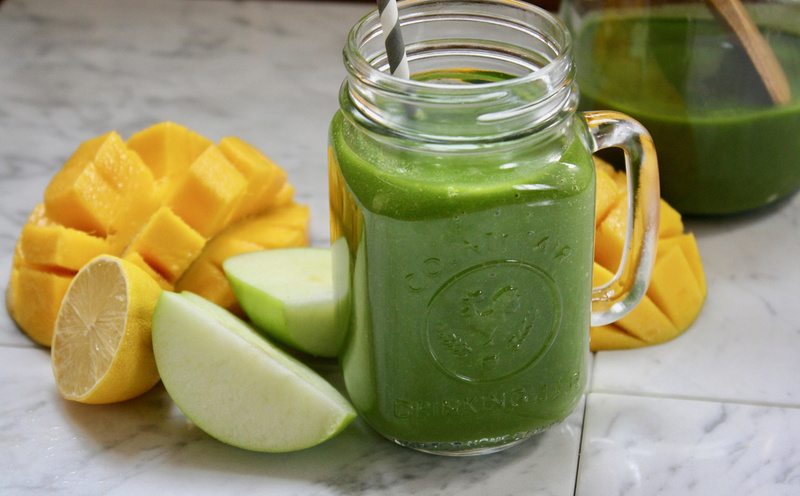 Frozen mango makes this smoothie creamy and thick and complements a green apple for the perfect combination of sweet and tart. If you’re enjoying this post- KICKR session, I recommend adding a scoop of your favorite vanilla protein powder to amp up the nutrients and help aid muscle recovery. But this smoothie is also a great option if your just looking to cleanse and reboot pre or post holiday! This refreshing and energizing smoothie will keep you pedaling strong all holiday long. In a high speed blender combine all ingredients until smooth for about one minute. Once combined serve right away. Lottie lives in Brooklyn, New York currently. She has a passion for eating clean plant-based food, running, fitness, and everything in between. 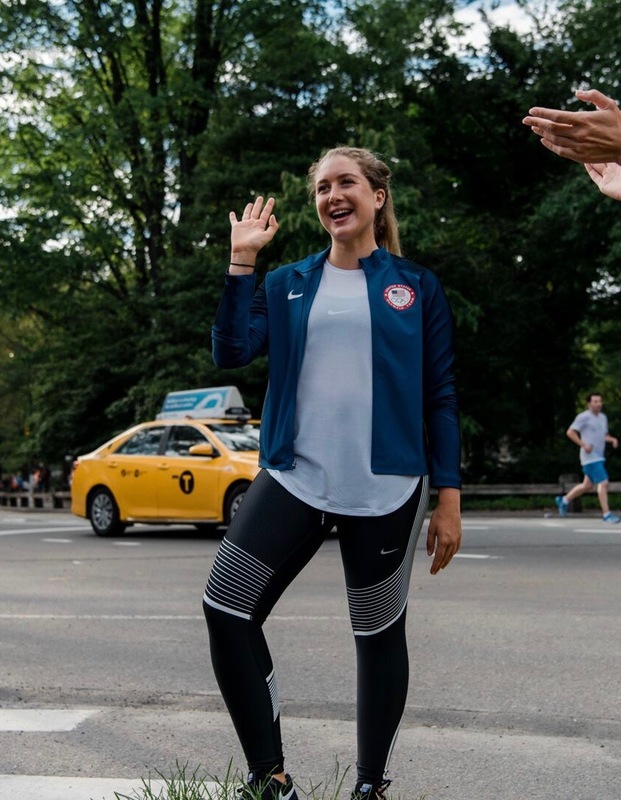 Lottie graduated from The Fashion Institute of Technology in 2014 and The Institute for Integrative Nutrition in 2015. She currently creates recipes for different brands and products. Her passion is teaching people how to leverage their diets as a tool to enhance their training.